Many families carry on traditions that have been around for decades, from going to cut down the Christmas tree to opening a present on Christmas Eve. While these holiday traditions evoke nostalgia and great memories, there’s nothing wrong with starting something new! 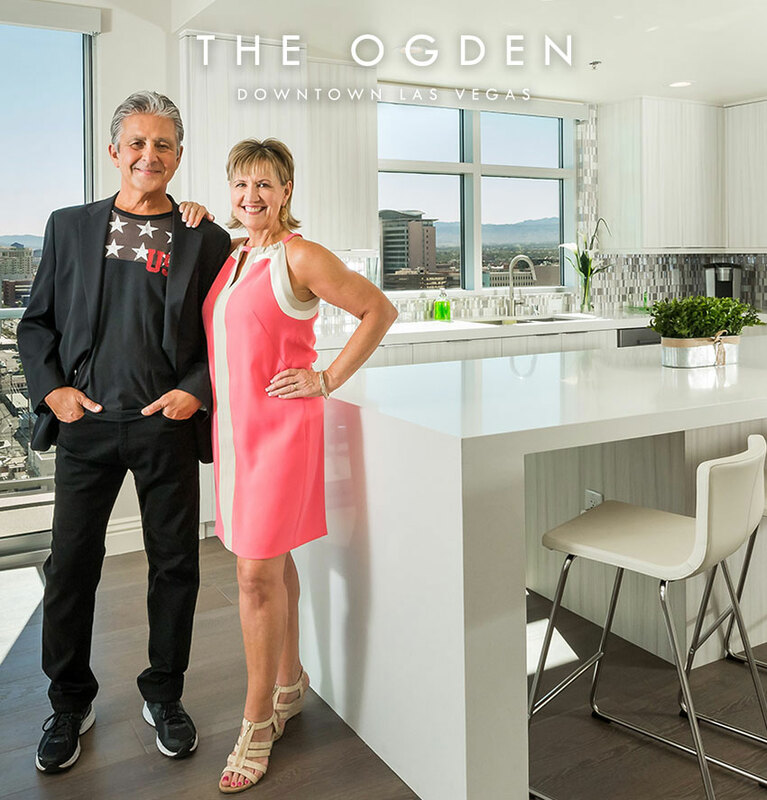 The families that are calling Downtown Las Vegas home are innovative, creative, and aren’t afraid to think outside of the box (just like the city they call home). Wondering what fun holiday traditions you can start with your family? Read on for some unique ideas! One fun holiday tradition to do with family or friends is to go shopping for a puzzle together in the beginning of the holiday season, buy one everyone loves, and do it throughout November and December. Whether you all sit down and spend some time putting it together or just do bits and pieces along the way, it’s really cool to see something you are all interested in come together. Then, at the end of every holiday season, you can seal your puzzle and look back on it for years to come! Las Vegas has some of the country’s most beautiful weather in the winter and this ironic holiday tradition is sure to get everyone in the spirit. Rather than gathering around the dining room table or the fireplace, get outside and grill like it’s the middle of summer! Bonus points if you wear shorts and sandals. Christmas in July is a thing, right? Now we’re making 4th of July in December a thing! There’s something so endearing about a Charlie Brown-esque tree that might be the reject of the lot. Sure, big beautiful trees are a staple of the season, but what if you and your loved ones tried to make your tree as ugly as possible? Buy some cheap ornaments (or make your own), get a scraggly old tree, and have some fun with this unique holiday tradition. Not feeling a beautiful tree or an ugly one? Decorate something else! It could be your living room chandelier, your balcony, or a life-sized cut out of your favorite celebrity. The possibilities are endless when you’re making your own new holiday tradition! Not only is this holiday tradition a great way to bond with your loved ones, but it also helps those in need. Las Vegas is full of awesome charities, so make it an annual tradition to visit these places to give back during the holiday season. You could spend some quality time with animals helping out at the Nevada Society for the Prevention of Cruelty to Animals, donate your old clothes to Safe Nest, or help feed someone in need a delicious holiday meal at the Community Food Bank of Clark County. No matter what, you’ll be making a difference in the lives of our neighborhood. There are so many great camping sites just a short drive from Downtown Las Vegas, but you don’t even have to leave your home to experience the magic of camping this holiday season! Grab the kids or friends, pull out the sleeping bags, and cuddle up next to the fire for some good old fashioned sleepover fun. This holiday tradition is a great way to make new memories (and a few s’mores along the way). Hanukkah is celebrated for eight days, so create a new unique holiday tradition around this idea. Instead of giving gifts for those eight days, bake something sweet for everyone in the family. You could start with simple things like classic chocolate chip cookies and work your way up to decadent desserts on the last day! Hiding a pickle ornament in the tree stems from a German tradition, but it’s been brought into American homes for decades and can be your new holiday tradition! Simply hide a pickle ornament somewhere in the Christmas tree and whoever finds it gets an extra present. Just be warned, the green pickle camouflages itself surprisingly well in the tree! The Ogden is located so close to many amazing bars and restaurants Downtown and if you don’t feel like cooking this holiday season, make it a tradition to order in! A lot of places might be closed for the holiday, so either order your food the day before or do your research to find a restaurant open on the holiday. Ditch the intricately cooked turkey or ham for some delicious Asian dishes from Flock and Fowl, pizza from Evel Pie, or Pad Thai and spring rolls from Le Thai. The holiday season is all about coming together with friends and family to celebrate togetherness, gratitude, and love. This season, create your own unique holiday tradition to make the day all yours! Whether you donate your time to a local nonprofit, do a family bake off, or hide a pickle in a tree, enjoy this special time with the ones you love.